Papoose Fisherman Sketch – Let's Paint Nature! 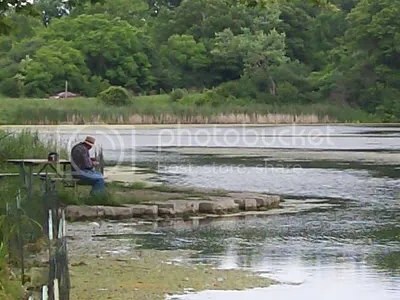 I love watching people fish. 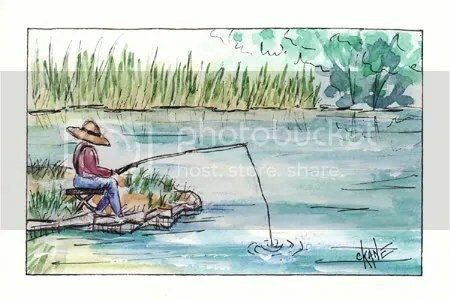 Especially the type of fishing person that reminds me of my Grandpa; elderly, gentle, and having a grand ole time for hours in solitude with nature. Well, my hat is a little bigger than in reality, but I think we were both successful at Papoose Lake on this fine day!